Oval Dish - Hunter Trophies CHTM pattern. 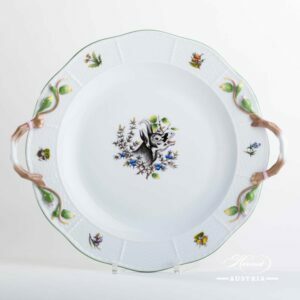 Herend fine china - 211-0-00 CHTM Green Rim - classic design. 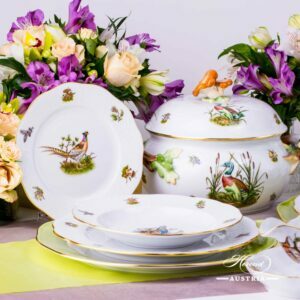 Hunter Trophies CHTM design is a classic Herend pattern. Sauce Boat w. Ladle - Hunter Trophies CHTM pattern. 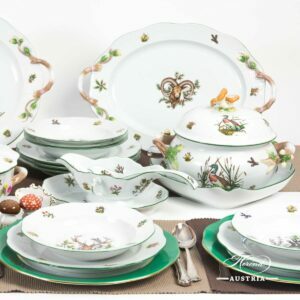 Herend fine china - 220-0-00 CHTM Green Rim - classic design. 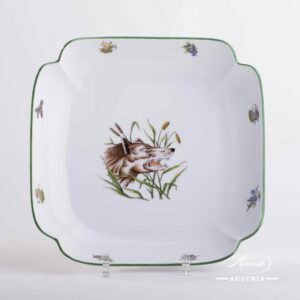 Hunter Trophies CHTM design is a classic Herend pattern. Mustard Pot w. Spoon - Hunter Trophies CHTM pattern. 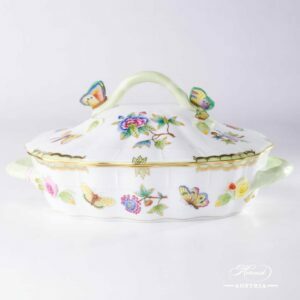 Herend fine china - 242-7-15 CHTM Green Rim - classic design. Hunter Trophies CHTM design is a classic Herend pattern. 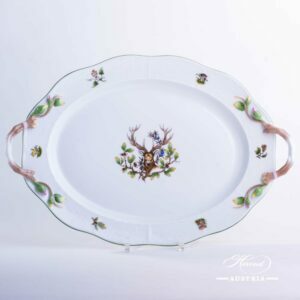 Oval Dish w. Handles - Hunter Trophies CHTM pattern. 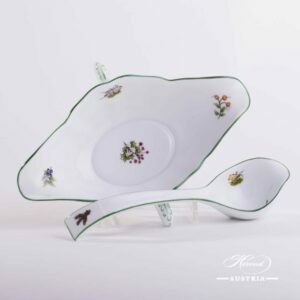 Herend fine china - 121-0-00 CHTM Green Rim - classic design. 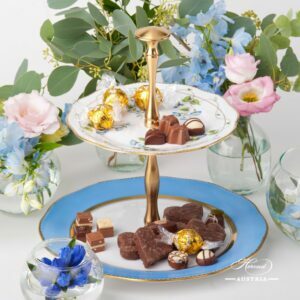 Hunter Trophies CHTM design is a classic Herend pattern. Round Dish w. Handles - Hunter Trophies CHTM pattern. 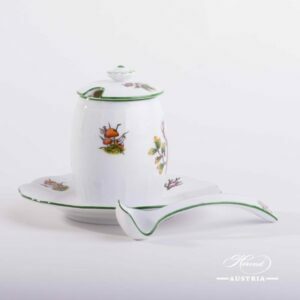 Herend fine china - 171-0-00 CHTM Green Rim - classic design. 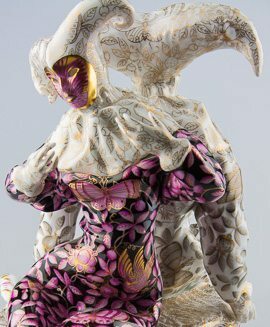 Hunter Trophies CHTM design is a classic Herend pattern. 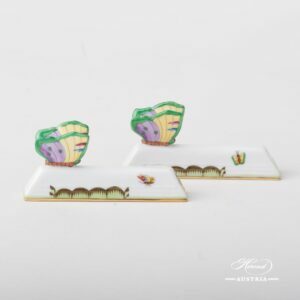 Bread Basket - Hunter Trophies CHTM pattern. 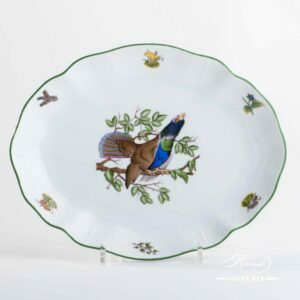 Herend fine china - 380-0-00 CHTM Green Rim - classic design. 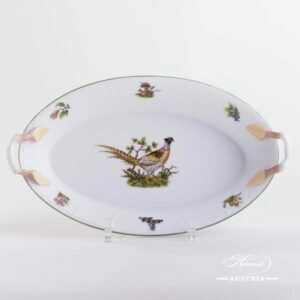 Hunter Trophies CHTM design is a classic Herend pattern.